Or as low as $12.08 per month over 12 months. Apply Now. 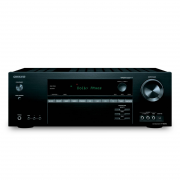 The Onkyo HT-S5800 has a 115 W/Ch A/V receiver that connects all your media players and sends video to the TV via a single HDMI cable. It allows multidimensional Atmos soundtracks to flow above and around you—AccuEQ optimizes the sound to suit the unique shape of your room. With Dolby Atmos, sound comes alive from all directions, including overhead. The format combines a channel-based audio bed with object-oriented sound to place and move specific effects around the room, creating a breathtakingly realistic and captivating sonic atmosphere. Sound designers and artists are free to mix in a 3D space, steering effects through surround channels and adding a seamless overhead dimension with discrete height channels. 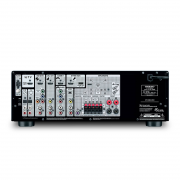 Additionally, a new Dolby surround up-mixer allows for your current channel-based content (that has not been mixed for Dolby Atmos) to be expanded to fill the flexible speaker layouts of a Dolby Atmos system. Solid two-way bass reflex front speakers include 5″ mid-range drivers and balanced-dome tweeters for energetic and accurate sound, and the top of the cabinets house the up-firing 3¼” cones for Dolby Atmos soundtracks, separately powered by the receiver’s height channels. The center speaker’s double 3¼” precision drivers and balanced-dome tweeter articulate dialog with richness and clarity, while a powerful 120 watt subwoofer drives a huge 10″ cone for thunderous bass impact. 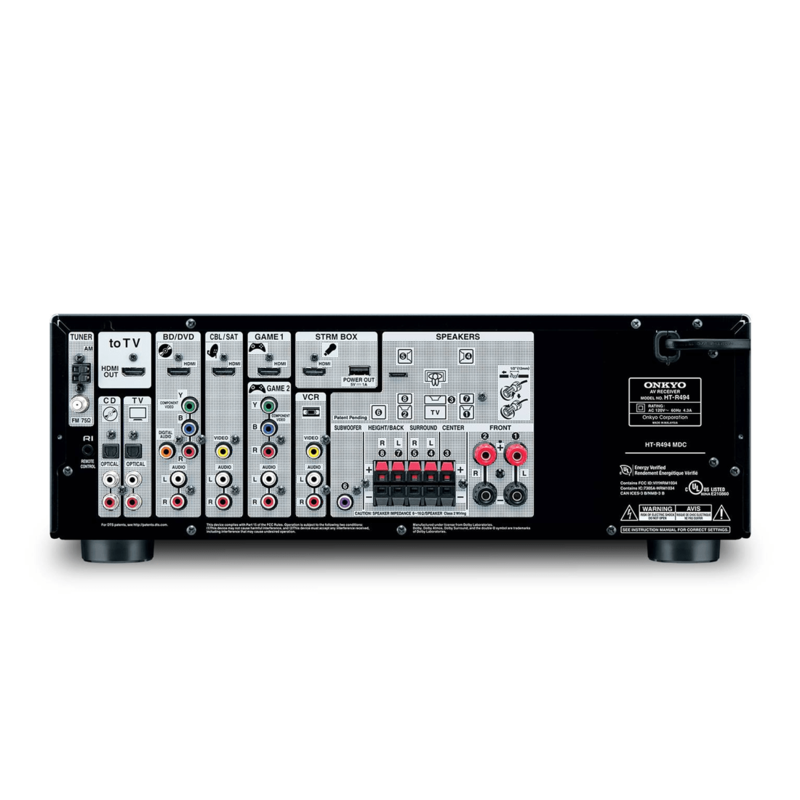 This gives the Onkyo HT-S5800’s receiver massive power at 115 W/Ch (6 Ohms, 1 kHz, 0.9% THD, 1 Channel Driven, FTC) 65 W/Ch (8 Ohms, 20 Hz-20 kHz, 0.7% 2 Channels Driven, FTC). Only one wire! Every video input’s signal is converted and sent to your TV through one HDMI cable. Easy! The Onkyo HT-S5800’s receiver has a USB port right next to the streaming media player HDMI input to conveniently power the device. Just plug in, log in to your subscription service and enjoy. Bluetooth technology is built-in. 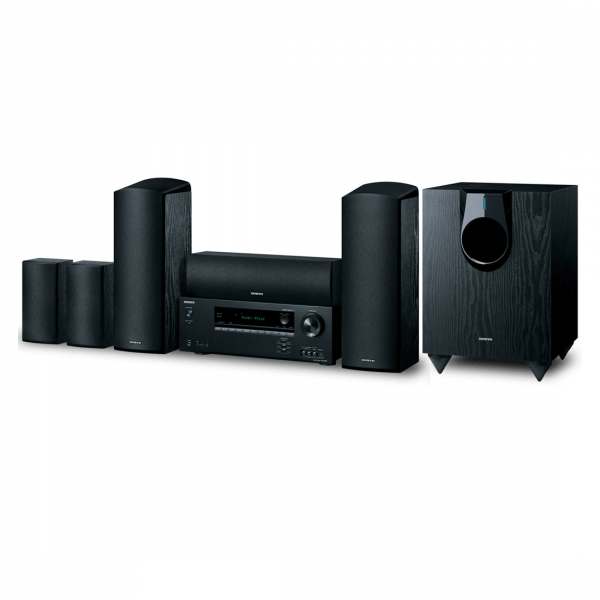 Pair up to ten compatible Bluetooth devices and stream high quality wireless audio using the built-in Bluetooth 2.1. The sound is virtually flawless. The latest HDMI specification and HDCP 2.2 compatibility supports the latest formats and technologies planned for Hollywood content. The latest HDMI specs offer a significant increase in bandwidth (up to 18Gbps) to support new features such as 4K@50/60 (2160p), which is 4 times the clarity of 1080p/60 video resolution, and 4:4:4 color space. AccuEQ conducts 2 measurements- one to set the level, distance and crossover for ALL speakers, including the subwoofer, and a second measurement to eliminate standing waves. Choose to include or bypass EQ measurement for front left and right speakers, and choose to automatically or manually set the EQ. Further, you can save your own manual EQ settings into three available presets.